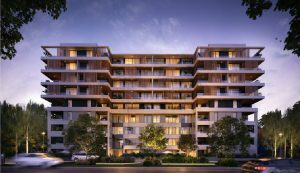 Breeze is one of developer Pradella’s newest forays into the West End market. 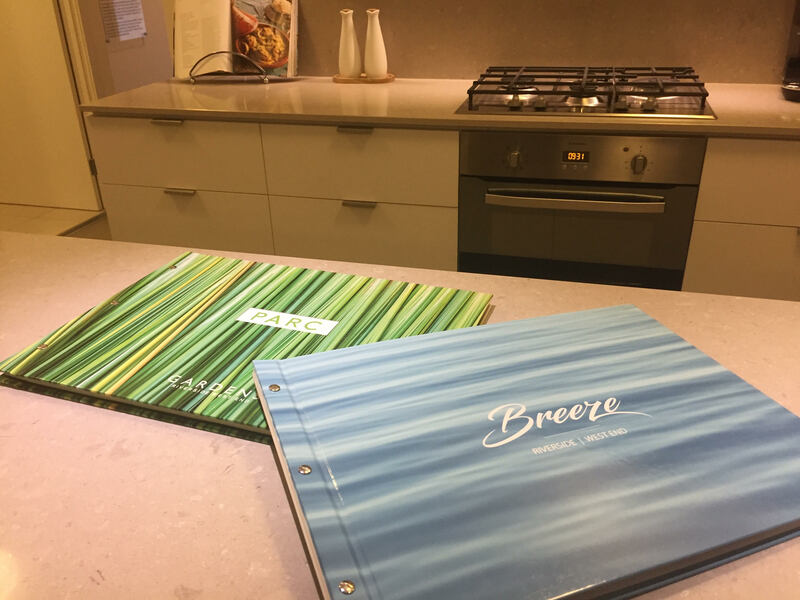 Breeze is one of several buildings making up Pradella’s 5.3-hectare master-planned community; a mixture of apartments, green spaces, retail and an entertainment and dining precinct. Under construction due to be complete mid-2019. Display suite open Wed – Sat from 10am – 4pm on the corner of Montague and Ferry Road. 10 floor-plans and three colour schemes to choose from. 110 apartments available with options of city, suburban and river views. 40 one-bedroom apartments from $399,000. 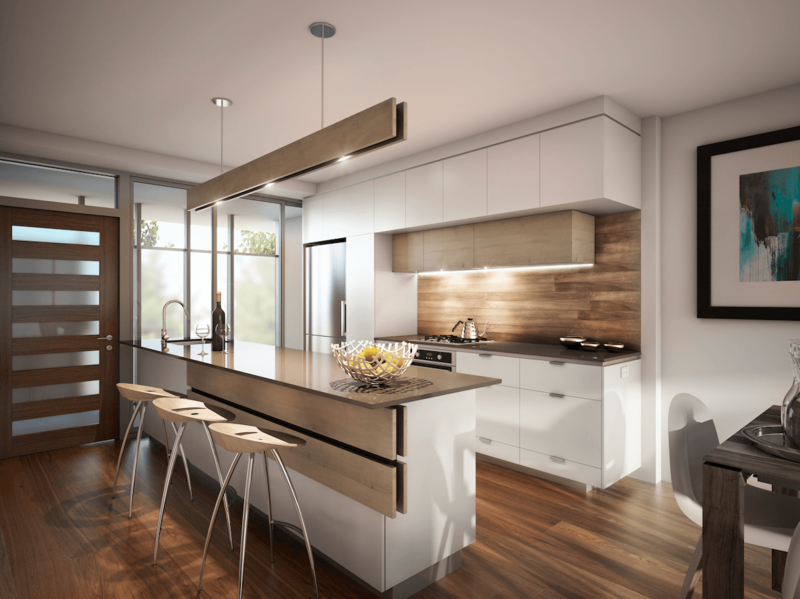 58 two-bedroom apartments available from $532,000. 12 three-bedroom apartments starting at $920,000. Central West End location with close proximity to CityCat ferry and a five-minute journey to the University of Queensland. Walking distance to the cultural hub that is Boundary Street in West End and within minutes of South Bank and South Brisbane. Breeze has 110 one, two and three-bedroom apartments over 12 levels. Every apartment is designed to allow the most amount of light in for its position and to let the cross-flow breeze through. 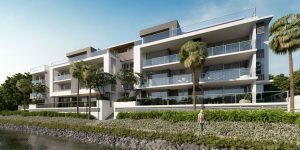 Less than 100 meters to the Brisbane River, three kilometres from the CBD, five kilometres from some of Queensland’s best universities, and within the Brisbane State High School catchment area — Breeze is ideal for young professionals or growing families. There are ten different floor plans and three colour schemes to choose from. 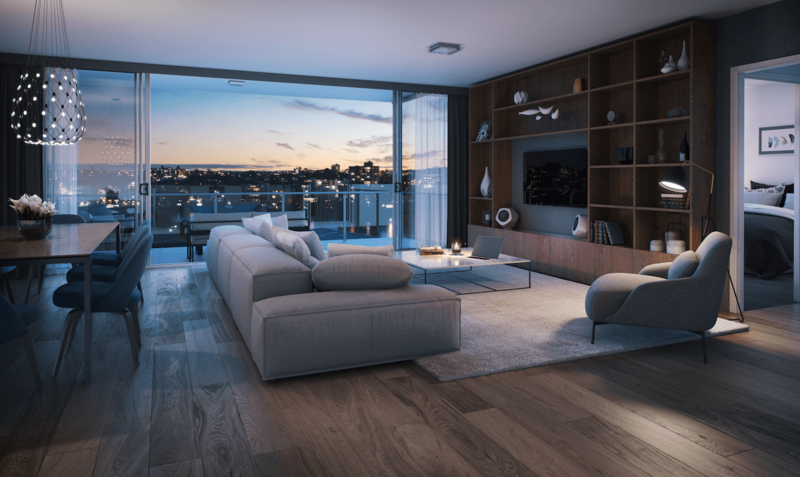 Pradella, the developer of Breeze, has delivered 18 projects in West End alone over the past few years and has an excellent reputation for quality finishes, so we expect attention to detail to be above average. The apartments are due to be completed mid-2019. 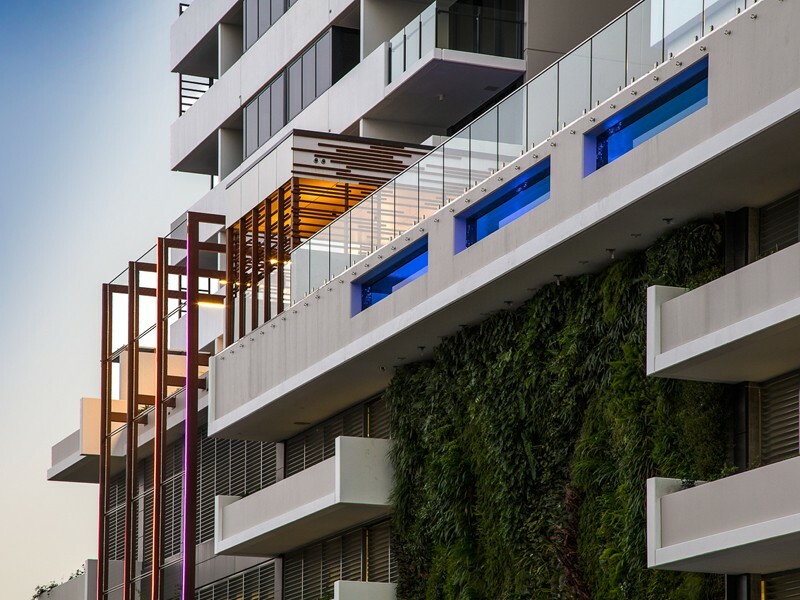 Breeze has an exclusive rooftop Skygarden Terrace with a 20-metre swimming pool and a landscaped entertainment area with views of the Brisbane River. There will be onsite management and each apartment comes with one or two spaces in the secure underground car park. 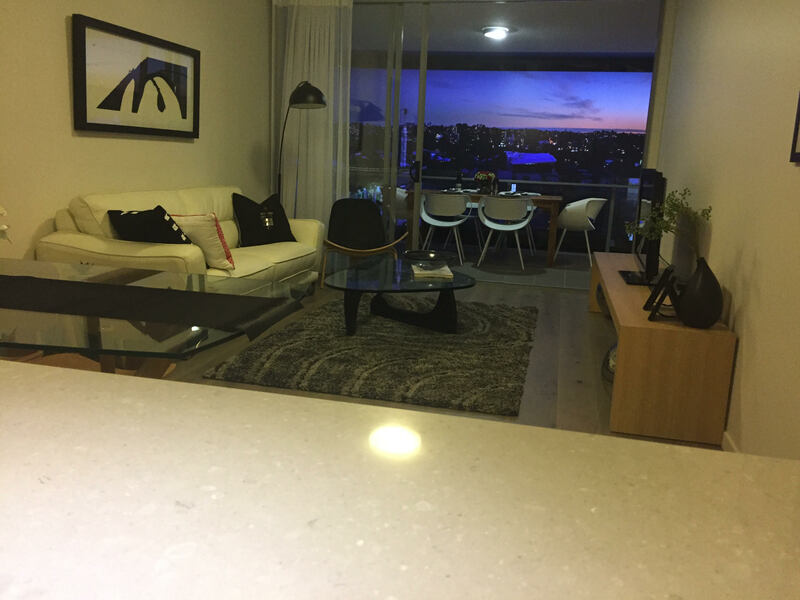 Breeze apartments West End Display Suite (photo taken by PropertyMash July 2018). The incredible facilities including a rooptop pool and gardens. The location – only 100 metres from the Brisbane River and within Brisbane State High School’s catchment area. There will be a lot of construction going on in West End in the near future. Street parking in West End can be an issue. The proximity to everything is one of the real highlights of the Breeze Apartments. 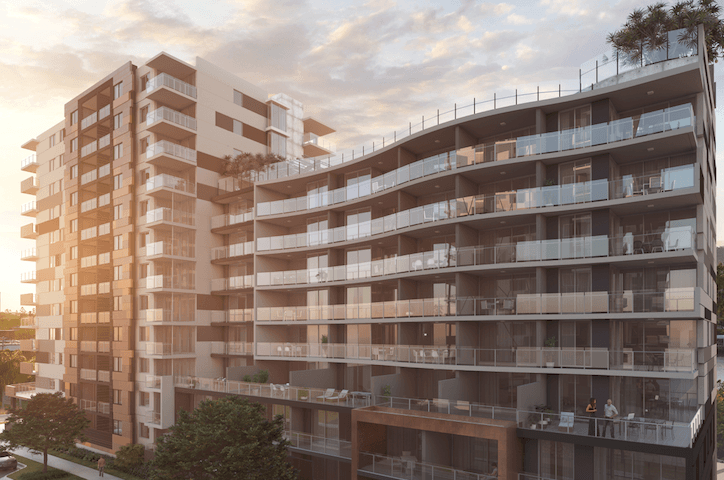 Working collaboratively with the other residential and commercial developments planned for Riverside West End, Pradella has cultivated what we’re anticipating to be a red-hot social hub. The vibrant suburb of West End is already home to a myriad of restaurants, cafes, bars and boutique shopping, all centralised and within walking distance. Coupled with Davies Park Markets on a Saturday morning, West End provides the perfect midpoint between a relaxed suburban vibe and CBD convenience. 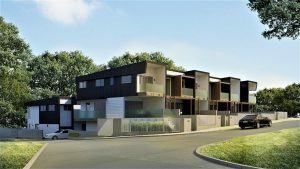 While still quite a quiet suburb, the apartment market is undergoing a real boom in West End, so expect some construction in the area even after this building is completed in mid-2019. Buses run 24/7 throughout West End and the ferry stop is less than 1km away from the building. West End State School is only 1.4km away, and this residence is also in the catchment of Brisbane State High School. For more information, check out our West End Suburb Profile. Breeze will offer secure underground parking for all apartments. One parking space is included in each apartment and two spaces come as standard for the three-bedroom apartments; with only one space for some apartments bear in mind that street parking around West End can be difficult on weekends and during the day. Breeze does have 20 visitor spaces, but with 110 apartments, these might disappear quickly. Onsite management will also be a feature, meaning these apartments would be suitable to investors or short-term rentals. 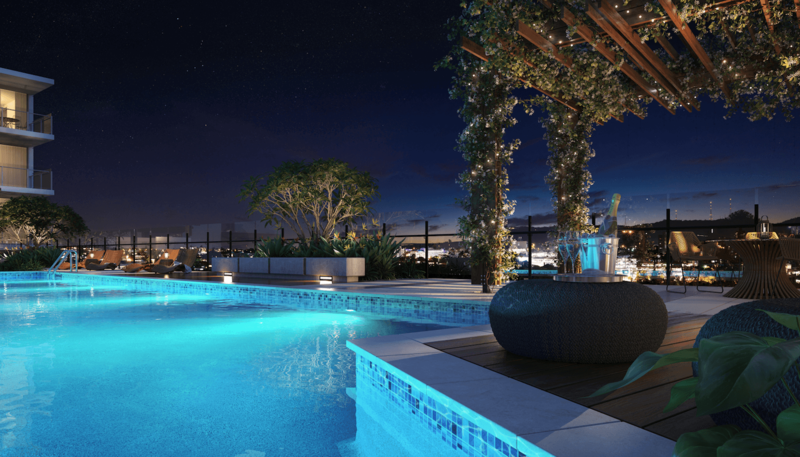 One of the key features of the Breeze apartments is the exclusive rooftop Skygarden Terrace, which will include a landscaped entertaining area and 20-metre long pool, stunning gardens, barbecue facilities and panoramic views out to the river. The Breeze apartments are spacious, with a ceiling height of 2.6 metres and the three-bedroom apartments offering a super-sized balcony of 17m² and an overall size of 148m². The two-bedrooms offer a slightly smaller balcony of 14m² and an average total size of 99m². Still offering plenty of space, the one-bedroom apartments have a floor size of 63 – 70 square meters. It’s not only the river views but the river breezes that are a great pulling-point for this complex. All apartments are orientated to maximise the light and natural air-flow throughout. All apartments come with split system air conditioning and the condensers are located in a plant room away from your balcony. The developer was unable to provide floor plans at the time of publishing. The three colour schemes available really help to make the Breeze apartments feel like home before you even move in. Adrift, Wake and Aloft are essentially light, medium and darker hues, each being suited to a slightly different living style and personal taste. 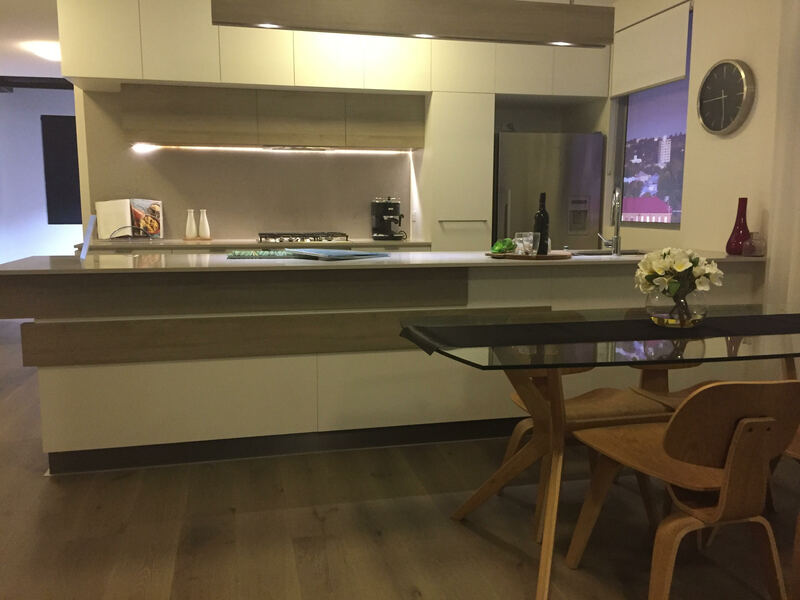 The Breeze apartments feature an open-plan kitchen with polished stone benchtops, specialty laminate and a feature splashback are all complemented by European appliances. The bathrooms will have designer tiles, laminate finishes and stone benchtops with plenty of storage. The flooring will be timber with carpet in the bedrooms. The anticipated rental return is estimated to be between $380 – $435 per week for the one-bedroom unfurnished units and $510 – $645 for two-bedroom apartments. 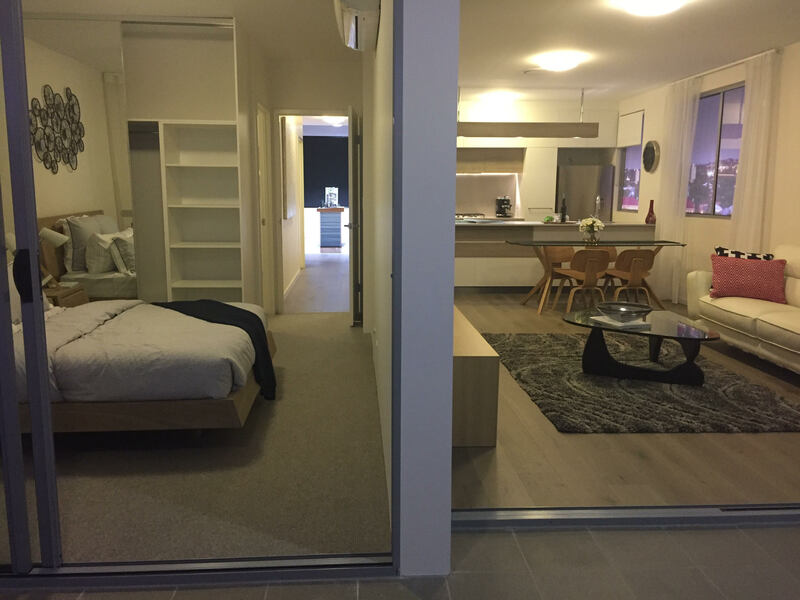 For the larger three-bedroom apartments with dual secure carpark spaces, the estimate is between $695 – $805 per week. 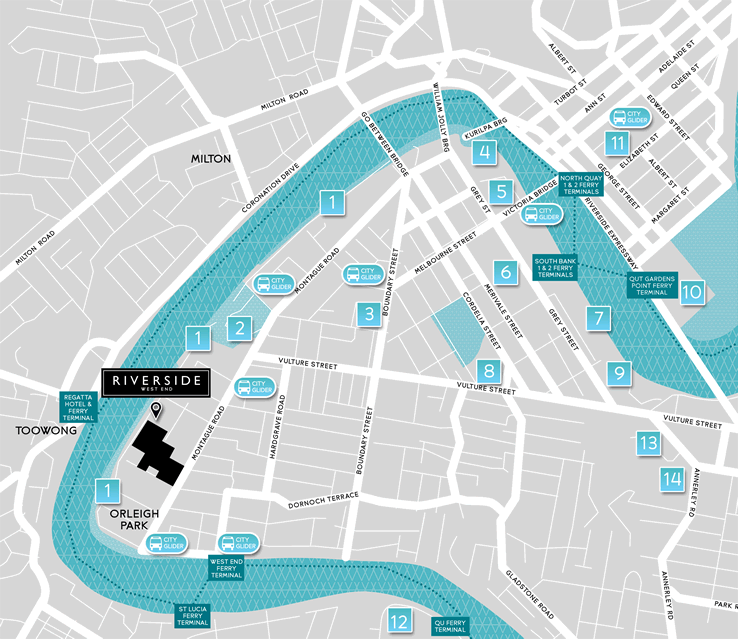 The Riverside West End project includes five large-scale residential developments, all orchestrated by Pradella Group. Breeze will be joining Skyneedle, Light+Co, Gardens and Waters Edge as part of the development giant’s $1 billion master-planned West End Community. This will be complemented by the Montague Residences and Montague Markets as well. 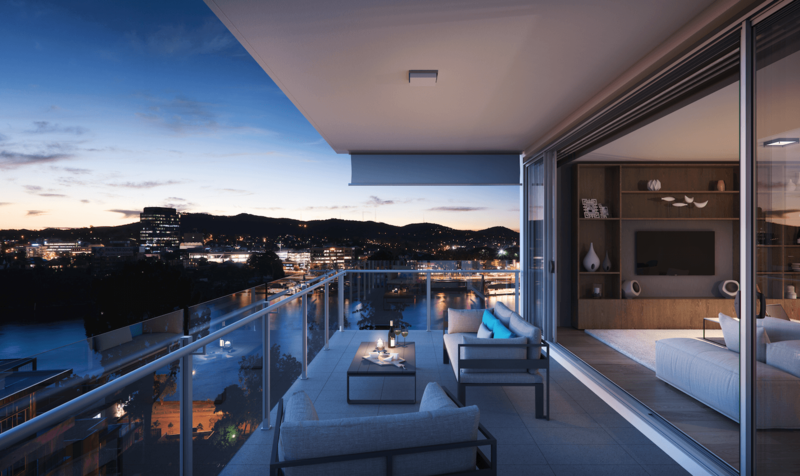 The Body Corporate Fees are approximated to be $3,300 per year for one-bedroom apartments and $4,000 a week for the larger three-bedroom apartments. 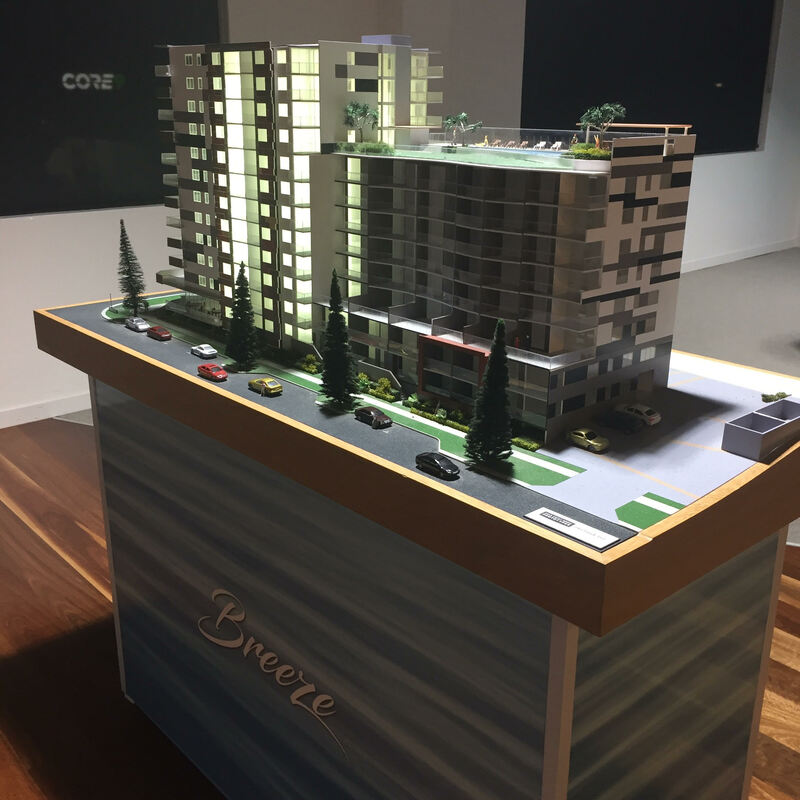 Breeze is being developed by Pradella Group, who’ll also be building and managing the project. 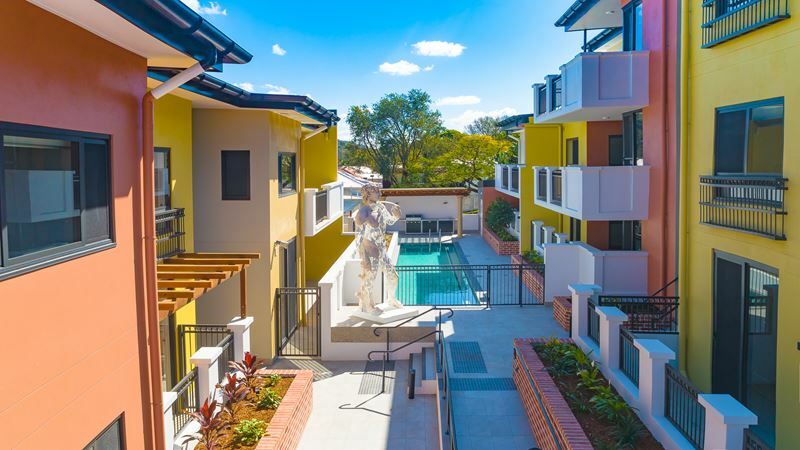 Pradella has been involved in 18 different projects in West End, providing over 3,000 Brisbanites with their new home in recent years and are currently spear-heading the Riverside West End project too. Corner of Montague and Ferry Road, Open Wed – Sat from 10am – 4pm.